Mozilla Firefox is a graphical web browser developed by the Mozilla Corporation. Started as a fork of the browser component (Navigator) of the Mozilla Application Suite, Firefox has replaced the Mozilla Suite as the flagship product of the Mozilla project, stewarded by the Mozilla Foundation and a large community of external contributors. 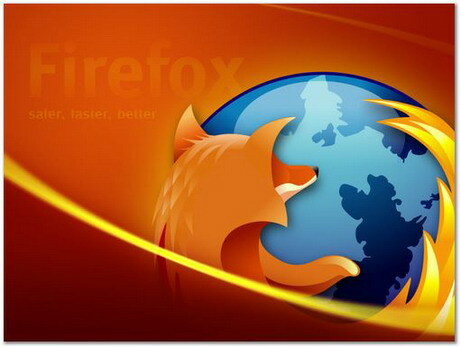 Mozilla Firefox is a cross-platform browser, providing support for various versions of Microsoft Windows, Mac OS X, and Linux. Although not officially released for certain operating systems, the freely available source code works for many other operating systems, including FreeBSD,OS/2, Solaris, SkyOS, BeOS and more recently, Windows XP Professional x64 Edition. Now here are some Tips & Tricks that can help you double the speed of Firefox. Type about:config in the address bar and then press Enter. In the filter search bar type network.http.pipelining. Be sure the value field is set true, if not double-click to set true. HTTP is the application-layer protocol that most web pages are transferred with. In HTTP 1.1, multiple requests can be sent before any responses are received. This is known as pipelining. Pipelining reduces page loading times, but not all servers support it. Go back to the filter search bar and type network.http.pipelining.maxrequests. Double-click this option and set its value to 8. In the filter search bar and type network.http.proxy.pipelining. Once opened doubleclick on it and set it to true. In IPv6-capable DNS servers, an IPv4 address may be returned when an IPv6 address is requested. It is possible for Mozilla to recover from this misinformation, but a significant delay is introduced. Type network.dns.disableIPv6 in the filter search bar and set this option to true by double clicking on it. When prompted to choose the value for the new boolean, select true and click OK.
Rather than wait until a page has completely downloaded to display it to the user, Mozilla applications will regularly render what has been received to that point. This option controls the maximum amount of time the application will be unresponsive while rendering pages. Right-click (Apple users ctrl-click) anywhere in the about:config window, select New and then Integer from the pop-up menu. You will be prompted to enter a value. Enter 2250000 and click OK. This option sets the minimum amount of time to wait between reflows. Right-click (Apple users ctrl-click) anywhere in the about:config window, select New and then Integer from the pop-up menu. Type content.notify.interval in the New integer value pop-up window and click OK.
You will be prompted to enter a value. Enter 750000 and click OK. This option sets if to reflow pages at an interval any higher than that specified by content.notify.interval. Right-click (Apple users ctrl-click) anywhere in the about:config window and select New and then Boolean from the pop-up menu. Type content.notify.ontimer in the New boolean value pop-up window and click OK.
You will be prompted to choose the value for the new boolean. Select true and click OK. This option controls the maximum number of times the content will do timer-based reflows. 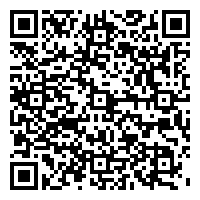 After this number has been reached, the page will only reflow once it is finished downloading. Right-click (Apple users ctrl-click) anywhere in the about:config window and select New and then Integer from the pop-up menu. Enter content.notify.backoffcount in the New integer value pop-up window and click OK.
You will be prompted to enter a value. Enter 5 and click OK.
You can interact with a loading page when content.interrupt.parsing is set to true. When a page is loading, the application has two modes: a high frequency interrupt mode and a low frequency interrupt mode. The first one interrupts the parser more frequently to allow for greater UI responsiveness during page load. The low frequency interrupt mode interrupts the parser less frequently to allow for quicker page load. The application enters high frequency interrupt mode when you move the mouse or type on the keyboard and switch back to low frequency mode when you had no activity for a certain amount of time. This preference controls that amount of time. Right-click (Apple users ctrl-click) anywhere in the about:config window and select New and then Integer from the pop-up menu. Enter content.switch.threshold in the New integer value pop-up window and click OK.
a short interval before first rendering a page. This preference controls that interval. Rightclick (Apple users ctrl-click) anywhere in the about:config window and select New and then Integer from the pop-up menu. Enter nglayout.initialpaint.delay in the New integer value pop-up window and click OK.
You will be prompted to enter a value. Enter 0 and click OK.
New Poll Added : Favourite Browser?